BioZyme recently hired Katie Vaz of St. Joseph, MO as Marketing and Communications Manager. In her new position, Vaz is responsible for developing and implementing communications and marketing strategies that support BioZyme’s supplement division brands and overall objectives. She also travels to a variety of trade shows and events across the country and assists with managing BioZyme’s internship program. Vaz has been involved in the agriculture industry from a young age, having grown up on her family’s dairy farms in Galt, California and Roswell, New Mexico and showing registered Jerseys and Holsteins. 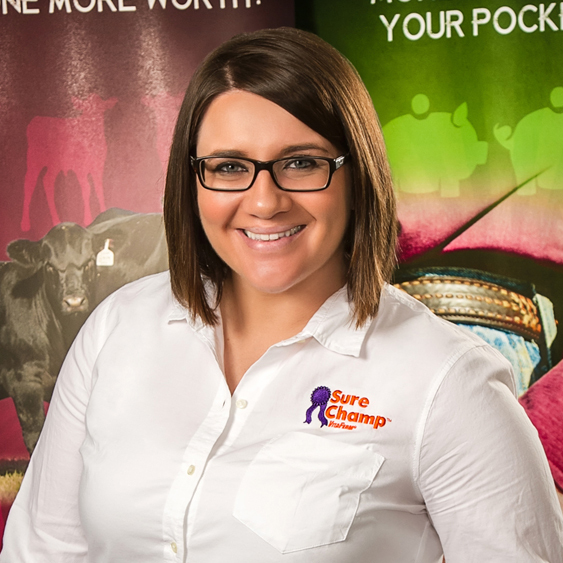 She is an active member of American Agri-Women and the 2015 American Royal Livestock Committee, and continues to stay involved in the dairy industry by traveling to shows across the country with her family. She has a Bachelor’s degree in Agricultural Communications with a minor in Agricultural Economics from Oklahoma State University.